Mark Lobensteijn 16-08-2018 . Categories: +mix, DJ Mix, Freaky Friday, Nieuws. Tags: Aleph, Baldeejays, Bordello A Parigi, Disco-Mix, Discontinu, Discontinu mix, Electro, High Energy, High NRG, Italo Disco, Italo Disco High NRG House mix, Italo dj Mix, Italo Internet Radio, Marc Hartman APK mix, New Gen. Italo, NuDisco, Radio Stad Den Haag, Radio Stad in the Mix, Tony Renzo. Sunday is Funday. We play lots of vinyl. Make sure you are tuned in today… Cams are rolling & chat is open. We make it your night out! Om 5 uur kun je live genieten van het programma DoucheCo met Michiel van der Brugge. Hij draait 2 uur lang platen uit de klassieke hit lijst de “Haagse Flitsende 50” Deze week van 26 maart 1983. 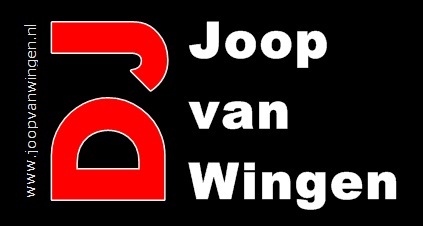 19:00 CET-A live mix-set by DJ Johan! We received new stuff from Bordello A Parigi so we will play some of that. Also from the forthcoming album Night City-Songs of secret service from Sweden some tracks like Matt Pop& Martin Blix, Italoconnection & Mirko Hirsch. And also this evening the new Victor Ark feat. Maryna-Tic Tac. So again an evening not to be missed guys. Italo, Disco & High NRG for you!! Playlist will be in the comments, after the show, and the shows are also in our download section and on mixcloud. Gwen 25-03-2018 . Categories: +mix, Charts, clip, DJ Mix, Download, Geschiedenis, Haagse Flitsende 50, Live Show, new release, Nieuws, party, Special Show, Stad Disco Zondag, Sunday Live Show, vinyl. Tags: Bordello A Parigi, Charts, Disco-Mix, Discontinu, DoucheCo, Eurobeat, Eurotix, Haagse Flitsende 50, Haagse Radio piraten, High Energy, I venti Records, Italo Disco, Italo Internet Radio, Iventi Records, Live internet radio, Live mix set Italo, Live Request Show, New release Radio Stad den Haag, Radio exclusive, Radio Stad Den Haag, Spacesynth, Stad Sundaynight Live, Studiocam, Victor Ark, Vinyl. Back on air this sunday. Let’s have some fun on your radio and join your gang today Live. Fijn! Het is weer zondag, tijd voor wat gekkigheid op je radio maar ook gewoon goeie programma’s en nieuwe muziek vanavond. Om 5 uur kun je live genieten van het programma DoucheCo met Michiel van der Brugge. 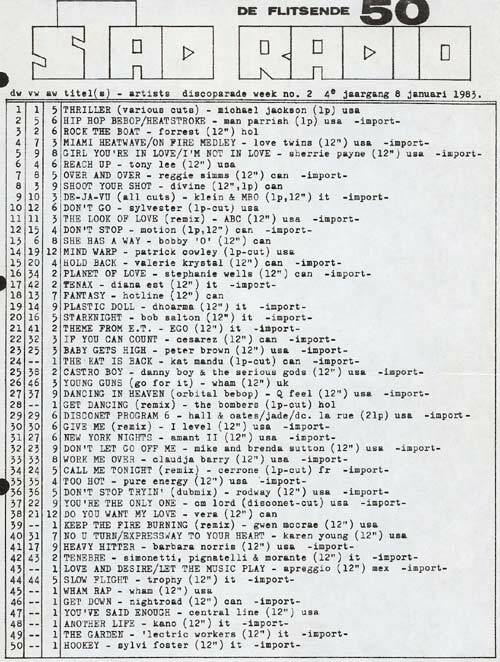 Hij draait 2 uur lang platen uit de klassieke hit lijst de “Haagse Flitsende 50” 8 januari 1983 week 2. 8pm CET… Gaan wij weer los! Gwen is naar Berlijn geweest voor het Italo disco Legacy evenement dus zal met sappige verhalen komen. Menno is er en Giel ook. Vanavond mooie radio premieres! Are you ready for your night out with us? The gang will play your requested songs but we have more…. The radio Exclusive of the new Dyva and a track by Jaber DJ, both handed to us by Flashback Records and were released last friday. Also this evening a great Flemming Dalum remix of Neon Disco by Italoconnection from the album Humanize, soon to be released on Bordello a Parigi. And some stories and video exclusives of the Italo Disco Legacy documentary that had its premiere last thursday in Berlin. Downloads also video now available or go to mixcloud. Playlist is in our comments! Gwen 14-01-2018 . Categories: +mix, Charts, clip, Download, Geschiedenis, Haagse Flitsende 50, i Venti, Live Show, new release, Nieuws, Stad Disco Zondag, vinyl. Tags: Berghain Berlin, Bordello A Parigi, Charts, Disco-Mix, DJ Sies, DoucheCo, DYVA, Eurobeat, Flashback records, Flemming Dalum, Haagse Flitsende 50, Haagse Radio piraten, High Energy, Italo Disco, Italo Disco Legacy Berlin, Italo Internet Radio, Italoconnection, Iventi Records, Jaber DJ, Live internet radio, Live Request Show, Pietro Anton, Radio exclusive, Radio Stad Den Haag, Spacesynth, Stad Sundaynight Live, Studiocam, Vinyl.